Work, health and inclusive employment expertise to drive economic growth and create healthier and productive working communities in which people can thrive. Attract the best people, keep people well and in work, and benefit from a healthy productive workforce. Increase productivity and performance through an engaged workforce. Support academic research, help services work together to help individuals fulfil their potential, develop policy and create a voice for your members. Jane Abraham is recognised nationally and internationally as an expert in work, health and inclusive employment practices. Working alongside large employers, Governments, Local Authorities and their key stakeholder partners, business agencies and NGOs, Jane advises on strategic planning, research, policy and bespoke practical delivery. Jane’s vision is to support a variety of organisations to help individuals access good work opportunities, remain in work, keeping them well and performing at their best. At a time when we are competing in global markets for the best talent, with an ageing work age population, and an increase in long-term health conditions preventing people working, Jane uses her depth and span of knowledge to support a range of organisations to create fulfilling and good work opportunities for everyone to help boost economic prosperity. Shortages in the labour market and accessing a wider pool of talent, an ageing working age population, keeping people well and in work, and creating inclusive employment so that everyone can access work opportunities are key challenges. Recruiting the right people and retaining valuable staff driving forward economic growth. Engaging the hardest to reach in communities. Creating good places to work for everyone in your community; keeping them in work and helping to build thriving economies. Local services effectively working together. Translate national policy into local action. Creating a voice for the people you represent. • Jane Abraham is recognised as an expert in work, health and inclusive employment opportunities, delivering bespoke projects. 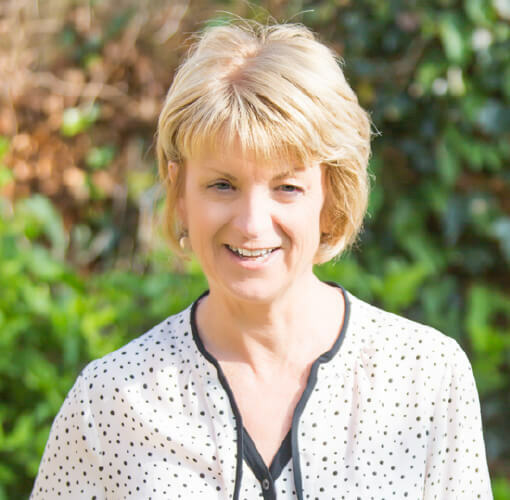 • Working alongside large employers, Governments, Local Authorities and key strategic partners, business agencies and NGOs, Jane advises on strategy, policy, evaluation and practical delivery. • Jane brings together health, business and employment services to help create ‘good’ working environments and opportunities for all, engaging the hardest to reach. • Her unique depth and span of knowledge is recognised nationally and internationally. Her current roles include working as a Policy Fellow advising on work and health for the UK Government, and as an academic lead and research fellow for workplace health at the University of Exeter Business and Medical Schools. As such she takes an evidence based approach to her work. • She works as a consultant with large employers on bespoke health and wellbeing strategies and evaluation, and is regarded as an expert on engaging and supporting small and medium businesses on work and health, and the agencies that support them. • Jane also supports Local Authorities and their key stakehoders to help translate national policy into local action, as well as ensuring NGOs can develop a strategic voice. How can Jane help my organisation? If you’re a large employer, Government, Local Authority, LEP or business agency, or NGO, then the first step is to call Jane on +44 (0)7966 240076 or email jane@flourishworkplace.co.uk to discuss your needs and arrange a meeting. Jane will then be able to provide you with a bespoke plan that meets your needs and objectives. As well as running Flourish Workplace, Jane also supports large employers, Local Authorities and their Strategic Partners, business agencies, NGOs and academia. A Policy Fellow in the Department for Work and Pensions– in the Joint Strategic Work and Health Unit with Department for Health. Jane currently works with a number of private clients including those from the insurance industry, large corporates, academic institutes, Governments and policy think-tanks on strategy, policy, research and evaluation, and identifying evidence based good practice. Jane was previously a strategic lead for Dame Carol Black and the UK Government on health, work and wellbeing, delivering their strategic objectives and acting as a catalyst for action and evidence based good practice with key stakeholders. She has been a healthy workplace and policy adviser with the European Centre for Environment and Human Health. Jane led research with SMEs on how to engage them using technology and online resource. Jane has offices in London and Cornwall, however, works with a range of large employers, business agencies, Governments, Local Authorities and Local Enterprise Partnerships, and NGOs nationally and internationally. Which other organisations do you work with? Jane works with business agencies, Local Authorities and Local Enterprise Partnerships, health services, and Governments, She also provides support for those supporting small and medium sized businesses (SMEs). However, she does not work directly with SMEs. 2 Inney Close, Callington, Cornwall, England, PL17 7QQ.